It's great to take bicycle rides throughout Long Island, New York, but sometimes you'll want to take the train several stops before you start pedaling. 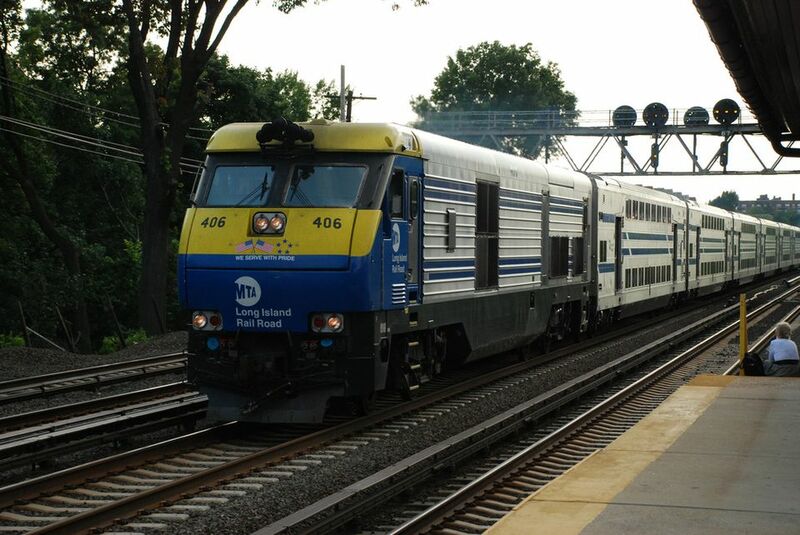 You're allowed to take your bicycles on Long Island Rail Road (LIRR) trains most of the time, excluding rush hours and major holidays, but there are some rules you'll have to follow. For example, if you have a folding bicycle, you are allowed to take it on all Long Island Rail Road (LIRR) trains without a permit, but please remember to fold your bicycle before you enter the train. Also remember to not block any of the doors or aisles with your bicycle. You'll need to get a lifetime LIRR Bicycle Permit, which costs just $5. You can purchase a permit onboard LIRR trains, by mail or at LIRR ticket booths. Note that bicycles are allowed on LIRR trains at most times other than rush hours and major holidays. On weekdays, a maximum of four bicycles per train is allowed, but on weekends, a maximum of eight bicycles per train is allowed. If there are bicycle events in groups, the group organizers must call the LIRR's Group Travel number at (718) 217-5477. To buy a permit by mail, first you'll need to download a form. When you receive your permit, take it on the train, but if you're traveling with bike-riding friends or family, please note that a maximum of four bicycles per train is allowed. However, on weekends, up to eight bicycles per train is allowed. You'll also find some specially designated bicycle trains that will allow more than eight bikes on weekends. Please see LIRR timetables to find out which trains have these. If you lose your permit, or it becomes damaged or worn out, you'll need to replace it and the fee is $5. You'll need to fill out a form again, and if you're asking for a replacement for your damaged permit, please include it with your application form.